ATHENS, Greece Greece's recession-wracked economy should start recovering next year and its sky-high unemployment rate should edge lower from the end of 2014, the finance minister said in an interview broadcast Thursday. Speaking on state-run NET television, Yannis Stournaras said Greece could be in a position to return to the international bond markets at the end of 2014. Greece has been relying on billions of euros in international rescue loans since May 2010 after excessive debt and a huge budget deficit left it facing imminent bankruptcy. It was unable to raise money on international bond markets due to the massively high interest rates demanded for its bonds -- a reflection of the high risk of default that investors see in Greece. Stournaras expressed the hope that the country will be able to return to markets at the end of next year and pay an interest rate of below 6 percent for its 10-year bonds, as both Ireland and Portugal, another two bailed-out countries, have done recently. Currently, the yield on Greece's 10-year bonds is just below 10 percent -- far lower than the 30 percent it reached last June, but still too high for a return to markets now. "I see recovery from 2014 onwards," Stournaras said. "The climate has already turned. At the moment the international community sees that Greece is being saved, that it remains in the euro." At its height last year, the financial crisis led to fears Greece would be forced out of the euro, the common currency used by 17 European Union countries. That in turn could cause mayhem in financial markets and exacerbate the eurozone debt crisis. In return for its international bailout, Greece has imposed several rounds of stringent austerity measures, including sweeping spending cuts and a series of tax hikes, in an effort to reform its economy. While the measures have reduced Greece's budget deficit, they have left the country mired in a deep recession, currently in its sixth year, and sent unemployment soaring. The minister said unemployment would take longer to start falling but that improvements should be visible by the end of next year. "The reduction of unemployment doesn't immediately follow recovery," he said. The Statistical Authority on Thursday showed unemployment in February stood at 27 percent of the workforce in seasonally adjusted terms. That's up from 21.9 percent in the same month last year and slightly higher than 26.7 percent in January 2013. The unemployment rate for people aged 15-24 stood at the staggering figure of 64.2 percent, the highest in the European Union. Seasonally adjusted figures are calculated to minimize the statistical impact of temporary factors, such as increased hiring during the summer tourist season in Greece, for example. The finance minister appeared cautiously optimistic over Greece's economic recovery, saying the government's aim was to achieve a primary budget surplus -- a surplus without taking into account interest payments on outstanding debt -- by the end of this year. Stournaras said this would allow the country to ask its international creditors for some further debt relief. "If we achieve a substantial positive surplus, then ... we can seek a further reduction in debt," he said. "That's what I see as the main goal today .... We owe it to the future generations." The official target is for a balance by the end of this year. 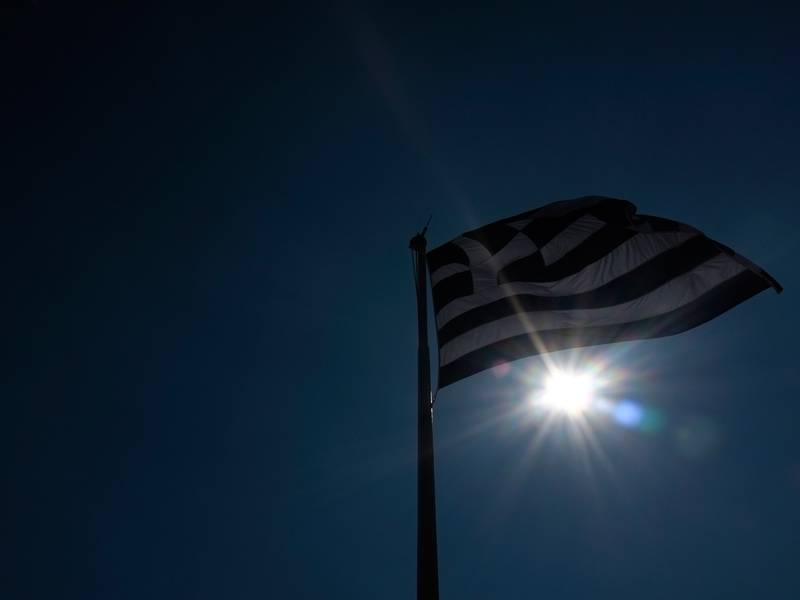 Last year, Greece saw its privately held debt cut by more than half in a bond swap. Athens has said that according to an agreement made with its creditors late last year, it could seek a reduction of the debt held by the official sector, such as governments and central banks, once it has achieved a primary surplus. Stournaras also reiterated a promise to austerity-weary Greeks that, if all goes to plan, they would not have to endure any new cuts. "As long as we keep to the measures we have promised, there is no need for new measures," Stournaras said. "There will be a need if for some reason we don't take one or more of the measures we have promised to take."